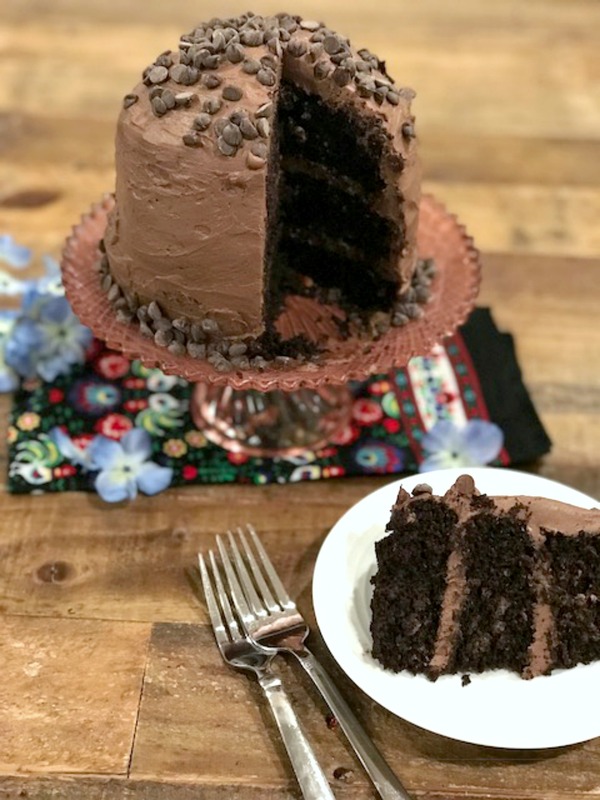 Totally Vegan – Totally Decadent Chocolate Mousse Cake – This cake tastes so amazing. It’s sure to become a favorite. You won’t miss the dairy or eggs! Enjoy! 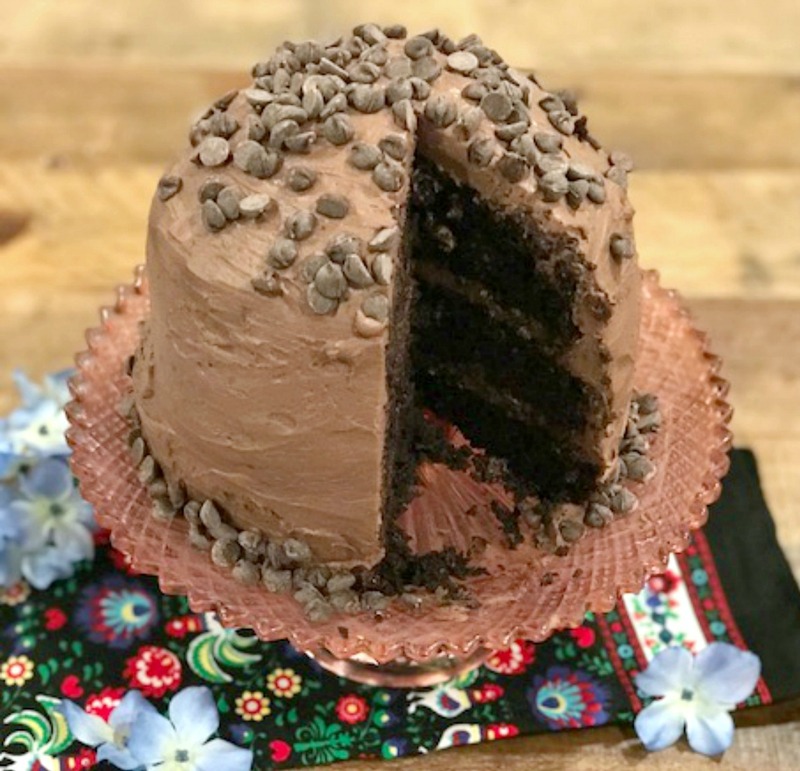 If you like chocolate cake, I promise you will love this chocolate cake. My family and I couldn’t believe how delicious it came out. Just from experimenting one day. There were no eggs or butter in the house on the day my son asked if we could bake a cake together. It was so cold and windy and we both didn’t feel like running out to the market. If you have been on this site before, you know we have lots of vegan recipes. Well, now there is one more and it’s an amazing chocolate cake with a creamy chocolate mousse frosting. Check out this easy recipe! Just a note…The frosting needs to sit in fridge for 4 hours to firm up. *Drain and rinse tofu, lay out paper towels. Place on top and bottom of tofu block. Press down to drain out more water. Heat chocolate milk until simmering hot. Not to a full boil. Small bubbles is fine. Place the remaining mousse ingredients in a blender with the chips on top. Pour hot milk over. Cover and blend until creamy and smooth. About 45 seconds. Check with spoon for smoothness and sweetness. If needed, add another tablespoon of powdered sugar. Blend again. Pour mixture into bowl, cover and refrigerate for 4 to 6 hours. Preheat oven to 350 degrees, spray three 6 inch round cake pans with cooking or baking spray. Cut parchment rounds and place on bottom of each pan. (They don’t have to be perfectly round) Spray the parchment paper. Set aside. In a large mixing bowl, add dry ingredients. Stir well with whisk to break up any clumps. In a glass measuring cup, add milk with vanilla, oil, and vinegar. Stir and pour into bowl with dry ingredients. Using a rubber spatula, mix just until combined. Make sure you get all the dry into the wet. Pour batter evenly into prepared pans. Bake for about 18-21 minutes. Check after 18 minutes. A toothpick should come out with dry crumbs or clean. Let pans cool on wire rack for 30 minutes. Run a butter paring knife around the edged to loosen up. Be very careful doing this. After 30 minutes, invert cakes onto wire rack. Peel off parchment paper. Let cool completely. To frost the cake, lay out strips of parchment paper on a cake stand or plate. Lay the first cake layer onto the stand over parchment. Using an offset spatula, frost with a medium coating of mousse. Add second layer, gently press down and frost with the same amount of mousse. Top with third layer, press down gently. Add mousse and frost the top sides with the rest of the mousse. You may have leftover mousse depending on how thick you frosted the cake. Slide out the parchment. 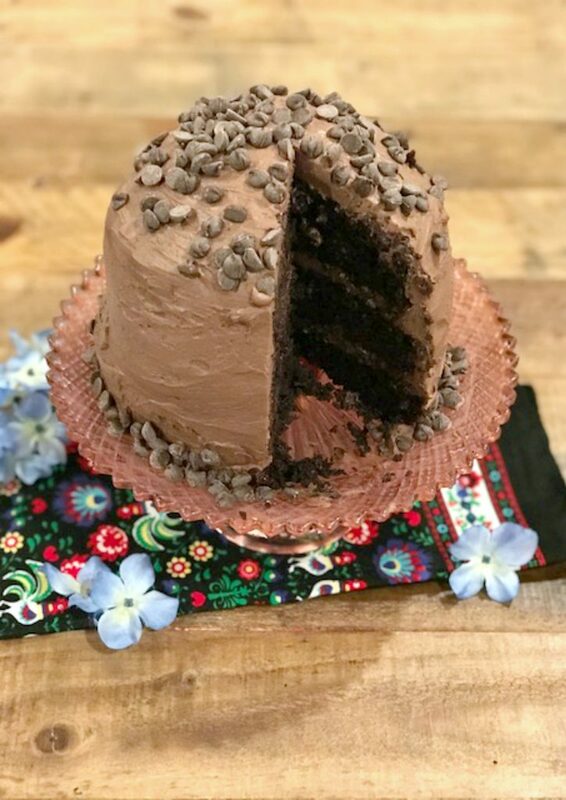 If the cake looks messy on the bottom, add mini or regular chocolate chips to the bottom of the cake. You can add on the sides and top too or leave them off. Place back in fridge for 1 to 2 hours. 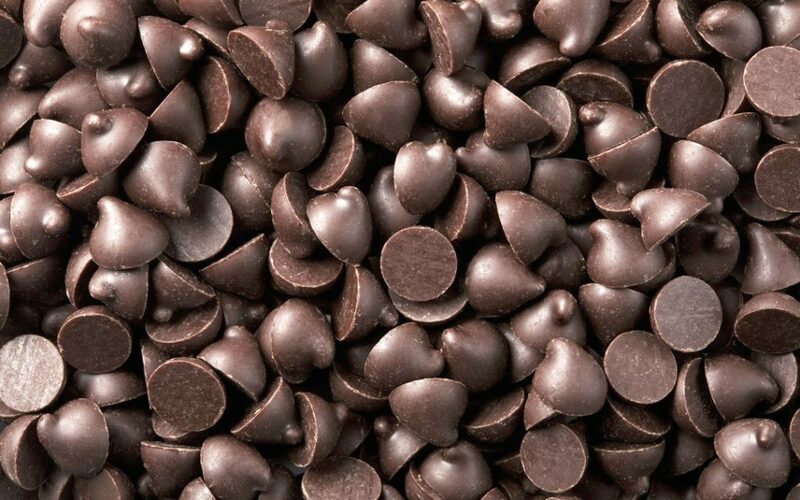 Slice up and ENJOY THE CHOCOLATE YUMMINESS! ***Store covered in fridge up to 2 days.